I love the animals of the sea. I don’t know if "love" is the right word here, given I tend to consume animals of the sea on a daily basis. Quite dedicatedly so, actually, since reading somewhere that frequent seafood consumption may explain the extra longevity the people of Japan hold over westerners. Some of this love is pure fascination: I mean, just look at your average octopus; or, for that matter, a starfish and its very different radial biology compared to us. And crabs - I mean, an animal for which moving forward means stepping aside. I like its approach! When they said first impressions matter the most, they probably had Ace of Seafood in mind. 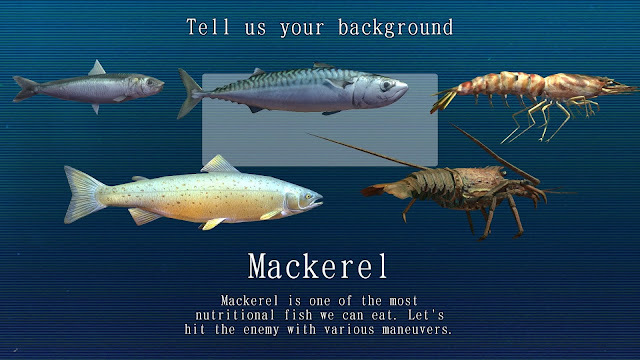 Two things hit you as you start engaging yourself in the acing of seafood: the craziness of killer ray emitting lobsters, and the horrible way the game presents these to you. To clarify, you start off playing the likes of a sardine, a mackerel, a crab, or a salmon. I went mackerel, because, hey, little can rival them when smoked and treated with a healthy dose of chilli. 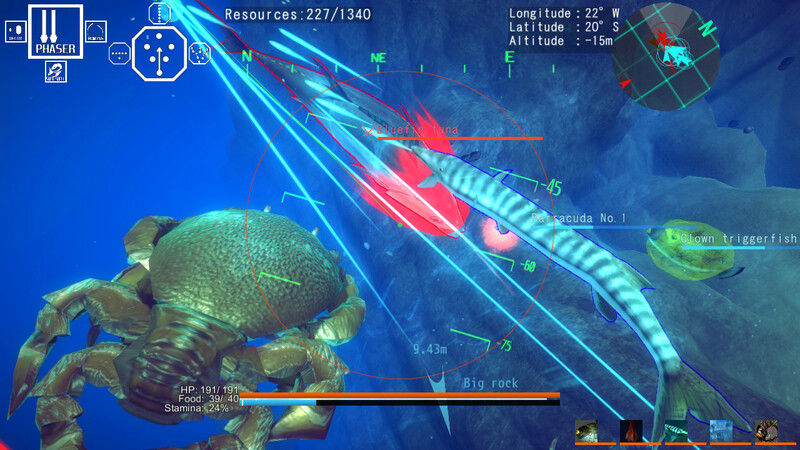 I then took a swim in the reef with my school mates, firing - as any decent fish would - lasers everywhere. As I did so, I had the dubious pleasure of rummaging through user menus that seem to have been designed to the exact specifications of 19th century user interface guidelines. That is to say, the presentation is in the spectrum of awfulness, where it is joined by plenty of bugs in rendering and the like to create a pretty uninviting underwater environment. Add the colourful depiction of the undersea environment into the mix, and I could only conclude what I should have already concluded by the game’s blatant title: Ace of Seafood is not a game that takes itself seriously; it’s more like the exact opposite. 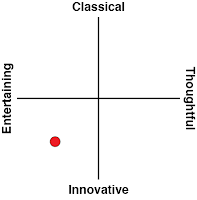 Fine by me, even great, only that - as a reviewer - I was now forced to choose between serious analytical dissection of this game or, alternatively, a psychedelic comic review to match the game’s spirit. 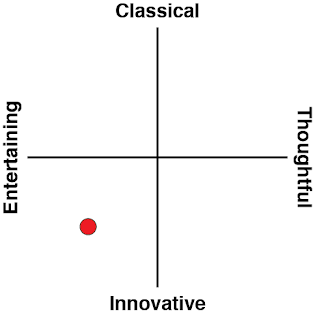 I decided to stick to the former, if only because good comedy is way too hard to write. I’ll have you know fish puns are a finite resource! For now, keep in mind Ace of Seafood is a joke of a video game; the task ahead of this review is to figure out whether it is a good joke or a lame one. 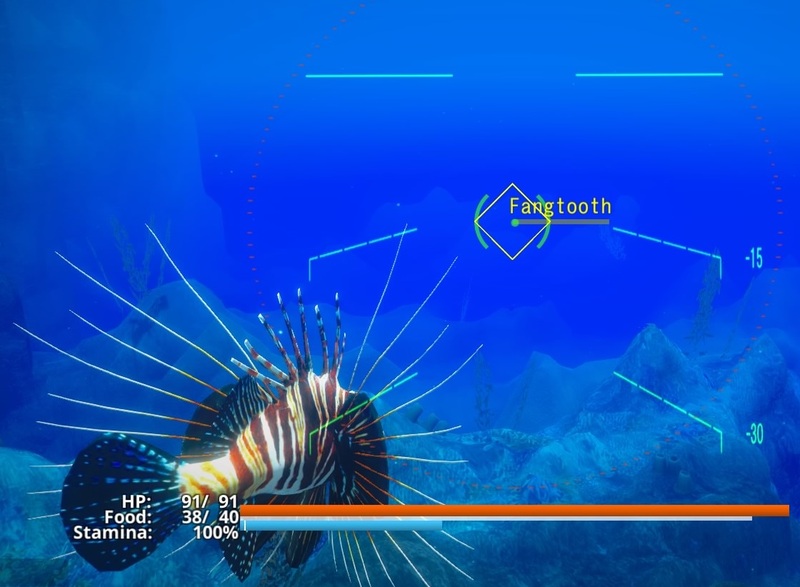 Given that Ace of Seafood is such a different kettle of fish to all other games, being the crazy-bordering-the-psychedelic affair that it is, I feel a breakdown of its core mechanics is due in order to be able to convey its nature and allow you to judge it by merit. 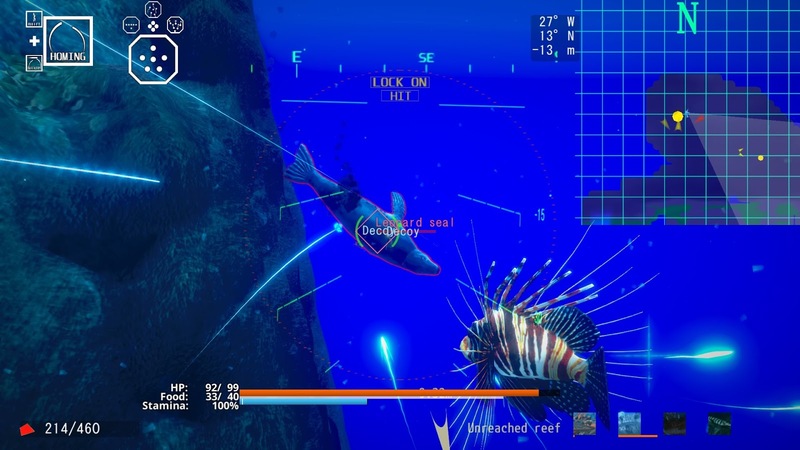 At its heart, Ace of Seafood is an arcade-grade flight simulator game. It’s just that, this time around, your tin can of a jet fighter cockpit is a fish presented in the third “person”. That fish is in charge of a small school/squadron of fish that will follow your orders and the swim/flight formation of your choice. Your mission, should you choose to accept it, is to expand your domain by discovering and “conquering” new reefs from the scales of competing schools. Your head-up display presents you with angle of attack information, radar map view of your environment, your squad’s formation and status, and your weapon of choice. 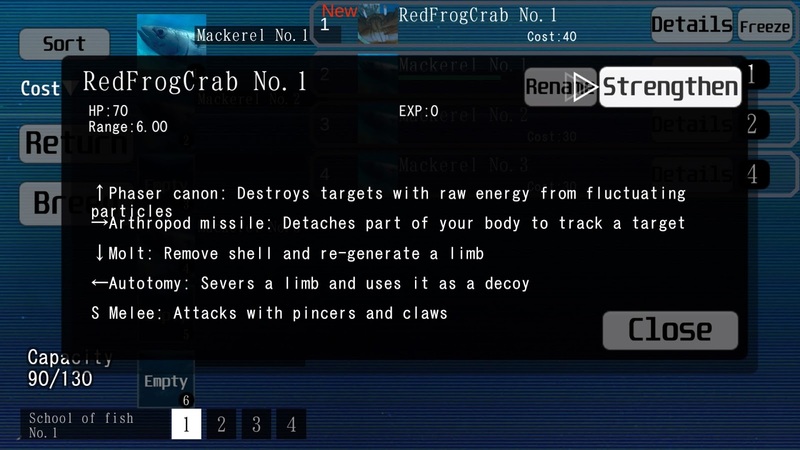 Weapons vary by species, and are textually, but rather absurdly, explained in marine life terms; we can agree to refer to them simply as lasers, rapid cannon fire, homing missiles, decoys, anti missile missiles, and... I’m sure you got the point. Where Ace of Seafood starts to significantly differ from fellow flight simulators whose aim is not to accurately depict the flying experience is the life under the sea department. In between reefs your squad will collect food in the form of starfish, barnacles and the like, which act as fuel. More importantly, your squad will engage squads of enemy marine creatures, allowing you to collect their DNA as you defeat them; collect enough DNA of a a specific species, and you’d be able to breed it and add it to your arsenal. In other words, what was once a sardine could become a barracuda. The total power of your school is limited, so you can’t make it up of tougher species only; it often pays to chuck a shrimp into the mix. You can also invest resources in upgrading previously bred specimen, but you are swimming in a world of limited resources. When it comes to orchestrating the fights between yours and enemy schools, your choices of weapons and tactics will matter. Different approaches work better against different enemies: for example, when dealing with a single seal (and I will add I was unaware of anyone classifying seal as seafood), I found surrounding the enemy works best; however, that tactic may not be as effective against a determined squadron of shrimps. Also bear in mind different species behave differently; crabs and lobsters are generally bottom dwellers, and therefore the ability to swim up and down comes with significant advantages when handling those. Regardless, I have found that, being the noob that I am, I took preference to homing weapons; the fighting proved generally too chaotic for me to properly comprehend. I came out better when focusing on managing my squad members rather than trying to win the battle myself. Yet, it has to be said, there is a lot of charm in subduing enemies through a short range karate chop like flick of the fish. However, for a game whose entire reason for existence is the bizarre idea of fish fights, the fighting fails to rise up to the occasion. Lastly, Ace of Seafood features an online mode allowing you to create rooms or to join others’ rooms for skirmishes with real people. As I had no friends to play with, I did not find skirmishing with fellow human controlled fish any better than AI fish; that said, given the online mode is Ace of Seafood’s only way to achieve multiplayer-ing I can see the joy in tackling friends. I hold mixed feelings about Ace of Seafood: on one hand, that initial attraction to laser firing fish fights did not last long; the presentation, the bugs, and the poor production values took care of that. That said, the need to boldly go where no crustacean has gone before, explore and find new species and such, proved somewhat addictive: when you swim around and spot a penguin, it’s kind of hard to not want one in your flock [by killing the one you met]. At this stage I would normally qualify my review and mention your mileage may vary by how long the game’s insane premises hold on to you. However, in the case at hand, I would go outright and claim I cannot see Ace of Seafood lasting beyond the hangover that will follow you and your mates playing it together, which is probably the only valid occasion for trying this game out. Ultimately, Ace of Seafood is a one trick lobster.